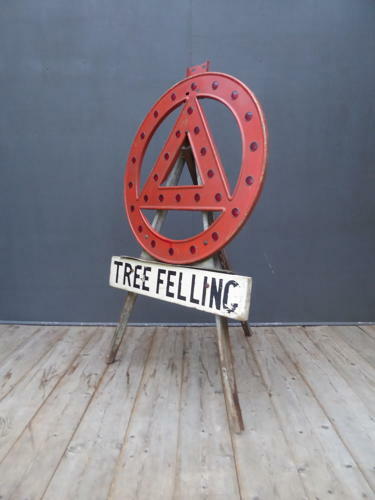 A wonderful vintage 'Tree Felling' sign. A fantastic warning sign on it's original tripod stand & in it's original painted finish, the upper part retaining all its copper framed reflectors & the lower on painted timber with a great patina. Wear commensurate with age, very good, undamaged though unrestored & in worn original paint.